This fairly new way of working has aims which mirror our own, in that we work to help a person achieve their maximum potential. 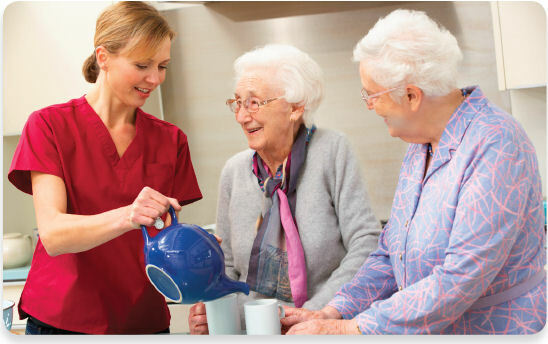 In essence regaining your independence and confidence and in the process minimise the need for long term care. How do we do this, it’s very simple. By setting goals, however minimal, our staff will work with you to make slow and steady progress in achieving them. From simply making a cup of tea to being able to walk to the front door. "My carers have really helped me to regain my confidence and do more for myself."